The combined score differential yesterday was 75 and no one saw that coming. Noting such would suggest that it wasn’t a great day. Ben told me he felt gypped. Free throws aside, Utah didn’t score for 692 seconds. Oregon missed all of the threes and the Pac-12’s defensive player of the year? Good job and good effort. Stanford posted the highest offensive efficiency against the Sun Devils of anyone this season. You can also read that as ASU’s worst defensive effort. Point being, yesterday was March. We asked for the unexpected and we got it. Utah had lost 10 games prior to Thursday by a combined 41 points. Then lost by 32. Oregon and UCLA had previous battled to the tune of even double overtime and last second Wear. Wasn’t Thursday’s case. Oregon had been shooting 47% from three in their previous nine games. Shot 30% last night. ASU’s defense. And with that context, our worst game was Cal-Colorado (not our worst game). These two played almost the identical game as they did on Saturday, so much so that Colorado scored the exact same number of points in regulation (59). Cal couldn’t quite get there so, naturally, they lost. Justin Cobbs had two chances at Cobbsicles but missed. I hate watching seniors lose. So we asked for the unexpected and we got it. We asked for the dramatic and the final shots and we got it. Pretty nice little Thursday. This RT @AMurawa: UCLA by 19. The basketball gods are going to make sure UCLA/Zona play at least twice every year. But there are two games. Arizona will attempt to achieve the double trifecta – defeating a team three times in one season – which I cannot confirm as a first or not. However you slice it, the assumption is that it’s difficult but then Arizona beat Utah by 32. I suppose there’s a precedence both ways. However you slice it, Colorado has won three of four (all wins coming by a score of 59-56, odd) and is playing about as Colorado as it gets: effective and opportunistic offensively (transition, Josh Scott, and hot shooting), solid defensively (0.91 ppp allowed in Vegas). But solid and effective aren’t enough to beat what appears to be the most focused Arizona has been all season. Utah looked the Wildcats in the eyes and Medusa turned them to stone. Colorado tried that once, too. Didn’t work out too well (-27 at home). The evening slate pits Stanford and UCLA. They split the season series, holding home court in both instances. We could rattle off more speak of Stanford’s seniors or UCLA’s transition game, but these are topics we’ve exhausted. What we need to note here is that the games they split, were both rather lopsided. 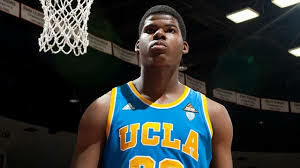 In Westwood, the Bruins won by 17. In Palo Alto, the Cardinal won by 9. Now margin of victory doesn’t always tell us much but – as we noted at the top of this page – it may be fair to expect something lopsided. If these two have played two games that they each ran away with, who’s to say we won’t see a tight one tonight? I’m not opposed. KenPom predicts it at as a 76-75 game, Bruins edge. Tony Parker went off in blowing out the Cardinal. Can he do that again? Stanford shot 62% to beat the Bruins. Can they do that again? 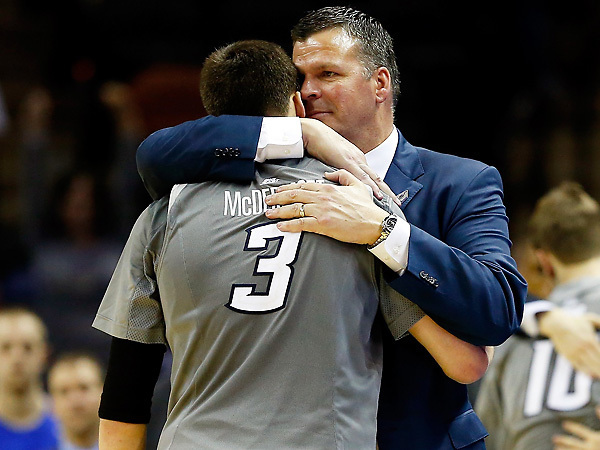 I predict more of exactly what we want: college basketball in March. Moving forward, we shall call three-pointers made in the final minute Dakari Ices. Fading jumpers at the horn are still – and always will be – Cobbsicles. Back to the action. Because the real action begins today. I mean no offense to the games played already, they’ve been great. There has been a lead change in the second half of each and the first session was as March as it gets. Byron Wesley had a fair look at his own version of a frozen treat. It rimmed out. But the real drama – games with Big Dance implications – begin today. We’re about to run through the lineup – some previews – but just take inventory for yourself. What are you doing for lunch? How can you find the Pac-12 Networks? Have you called Doug at Hooters San Bruno and heard him lament his DirecTV? I have. Today is the kind of four game slate that had me polling the g-chat brain trust whether naming my price on round trip airfare and bailing on two days of work like an obsessed super fan was rational. It’s not. So I’ll preview and stream, head to John’s – local deli with P12N – for lunch. Like an adult. I hate it. Arizona swept the Utes this season which means about as much as a Frank Underwood hand written letter. Completing such a trifecta is rare and difficult [insert the number of times it’s happened because mining three seasons of conference data isn’t in the cards tonight]. UCLA managed to pull the trifecta on Arizona last year; and it cost their coach his job! So clearly the stakes are high. But diving into the match ups, Utah is a terrible match up for the Wildcats. They have the size to force Arizona into two things they don’t like to do: shoot and not rebound. Apologies for the double negative and now let’s address the former. In Tucson, the Cats walked away with what looked like a relatively cozy win – 65 to 56 – but Arizona shot a sub-par 40%. The Utes forced more than 80% of the Wildcat offense away from the rim. 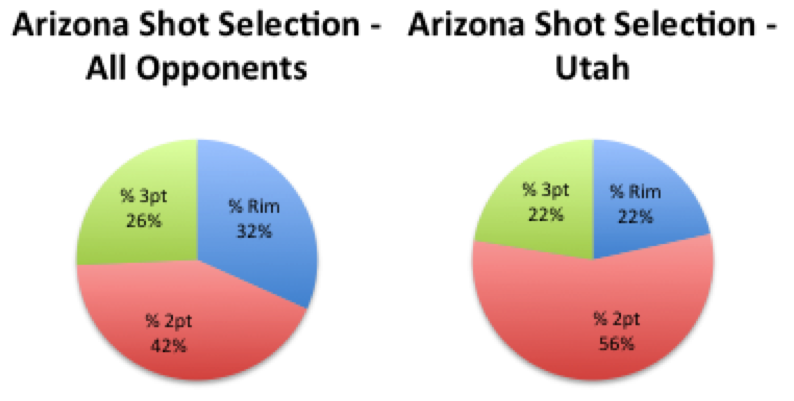 Comparatively, Arizona usually takes 31% of their shots there. Utah forced the Wildcats to shoot and they missed. But they also rebounded, offensively (pun intended). In that game, Arizona grabbed 50% of the available offensive rebounds and subsequently turned those efforts into a win. 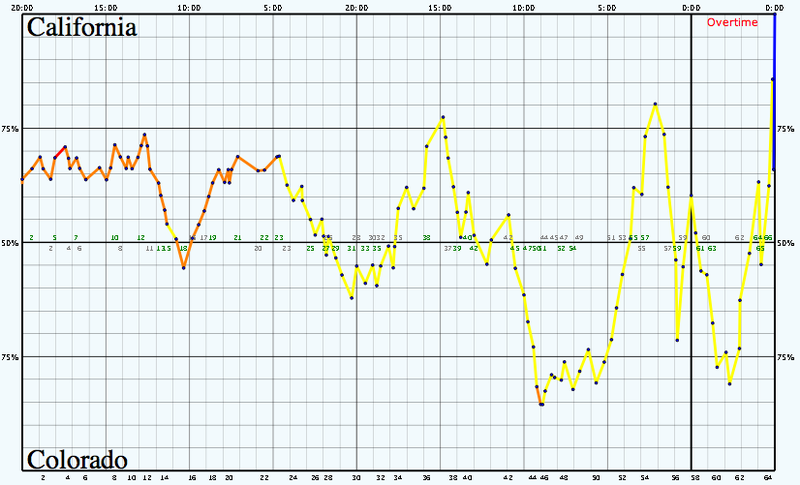 Utah managed to flip the script in SLC, limiting the Wildcats to a minuscule 31% OR% (compared to their normal 38%). That game saw the Wildcats take 25% of their shots at the rim (better) and shoot the ball better (42% from distance). But ultimately, that game came down to two teams matching wills, a game the Utes had all but locked up. Until they didn’t. Should this game follow the aforementioned suit, TJ McConnell – for all of his facilitating glory – will need to hit some shots. Notice all that red space on the right pie? McConnell leads the team in FG% on 2-point jumpers. Utah is daring him to beat them. It’s obvious that All-American Nick Johnson (I like saying that) will need score, too. But the X-factor (and it was the case in Salt Lake and the guy we’ve kept an eye on all season) is Gabe York. The sharp shooter took his spot for the first time post-Ashley against Utah and promptly scored 15 points. 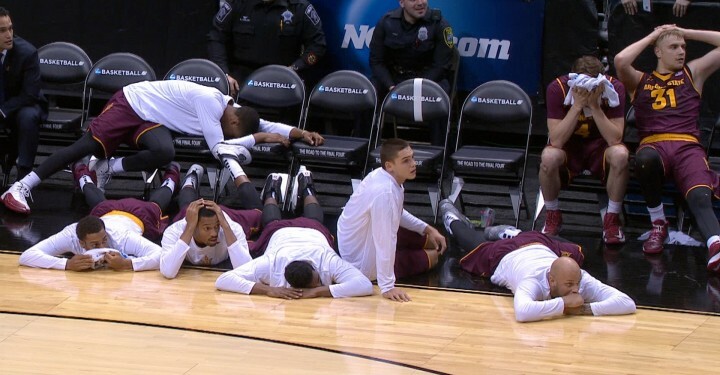 Arizona would need every one of them to win in overtime and they’ll need every one of them again to advance. To fulfill the Utah narrative, what would a win here mean? In short: lots. Larry Krystkowiak said his team would win this tournament. He has a terrific back court (everyone’s favorite and the most critical in March) and that aforementioned front line that has the ability to limit what Arizona does, offensively. Utah came out of the gates like a sorority girl out of a breakup: destroying cupcakes. They led us to believe, in pounding the second worst non-conference SOS in the nation, that their offense was their strong suit. They were scoring more than 80 points per game and lead the nation in 2pt FG% (I see you, Delon). But enter conference play and we saw the Utes’ true colors: the under-talented-but-hard-playing team Larry K told us they’d be in November. They’re the third best defense in the Pac-12 and the 29th best in the nation. How do they do it? To be honest, nothing particularly stands out about them. Statistically speaking that is. But they seem to do everything pretty damn well which, in my estimation, further fulfills the playing hard narrative K kicked all of this off with. But do we really need to be discussing this much defense? 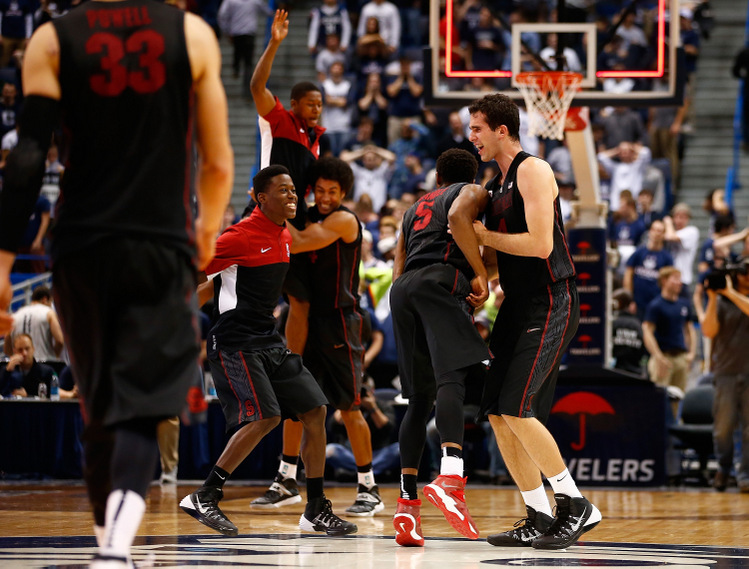 Maybe the question is not so much can the Utes stop the Wildcats but rather outscore them? Probably not considering they’re the top defense in the land. But let’s just say this thing remains a scoreless battle (average 0.94 points per possession which is about equal to the offensive output of 7-23 Rice University). Where does Utah stand a chance in scoring? Delon Wright gets to the rim – in case I’d never mentioned it – but Arizona protects that space as well as anyone. Raising the topic Tony Jones and I discussed on the Twitter: spot up shooting. It’s a nice thing to have (Arizona doesn’t really) and a great thing to have with a creator like Wright. Brandon Taylor has filled that role effectively (40% on threes) but if he’s the only shooting threat on the floor (Loveridge 30%, Wright 25%) then it’s not terribly effective. But Dakari Tucker (Dakari Ice) can stroke it (38%). He doesn’t get the most tick (50.4% minutes) but he poses a threat perhaps otherwise unknown from Utah. And you saw Jason Calliste shoot Arizona out of Eugene coming off the bench. And you saw Dakari Ice do it to Washington yesterday. 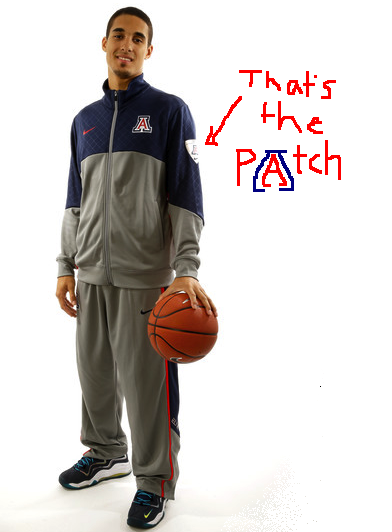 There’s a precedence for making hitting threes to beating Arizona. Is Tucker the answer? And because we discussed 2-point jumpers so much already, it’s worth noting that Arizona forces the highest percentage of 2-point jumpers in the country (51.7%) and Utah doesn’t want to take that shot. They rank 204th in percentage of 2-point jumpers taken and 133rd in FG% from there. Utes offense comes at the rim. Like their defense, they don’t overwhelm in one area of their offense, but when they do get to the basket, they’re making it – fifth nationally in FG% at the rim. 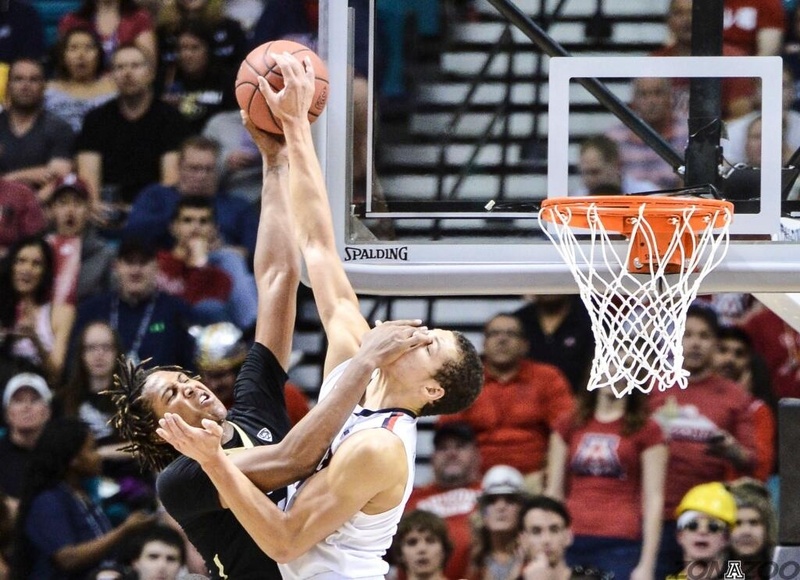 Arizona, on the other hand, protects the rim as well as any team in the conference country. 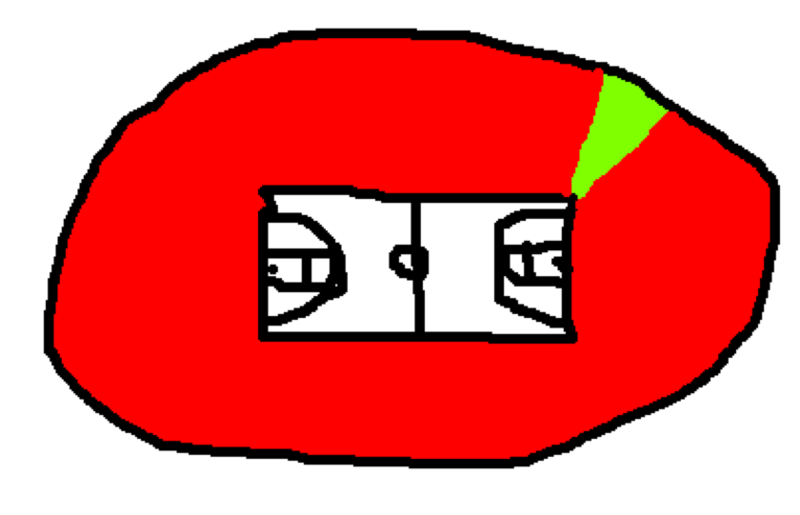 Look, I tried to paint a positive picture of offense but it just might not be there. Does Utah have the size (again) and the shooting (first time for everything) to avoid the trifecta? Could we see some Swoop magic as Jordan Loveridge and Dakari Ice get hot from deep? Trifecta averted? Or will Arizona just go on being the tournament’s odds on favorite? Confident Askia is confident. On how to beat Cal: I think we need more plays like I had tonight, those winning plays. The Buffs – confident as it were – are pretty comfortably in the NCAA tournament. I’m not entirely sure what that means for them beyond the fact that they just played about even with the worst team in the Pac-12. But if we’ve learned anything about the Buffs, it’s a propensity to play to their opponent. We can take a Vegas theme to this and note that they’re 17-14 against the spread. Certainly they’re above .500 but not by much. They play right about to expectations. Nothing wrong with that so long as the left column is the one you’re filling up. Of course, per KenPom, Colorado is expected to win this game by just one point suggesting we’re in for a good one. But not worthy here is the seniority factor. This, above all of our other four previews, is the one I lean the least on for statistical analysis. Neither team is easy to figure out and each has plenty going for and against them. Which leads me to Cobbs and Solomon. They’re the only contributing seniors on the floor in this game. The only affecters to be potentially playing their final game. That means something in March. It means something that Cobbs has scored 19 or more points in four of Cal’s last five wins including 21 points and 4 assists (0 TO) in beating Colorado last week. Richard Solomon added a double-double in that must-win for the bears. And once again these seniors are faced with a must win. Pay attention.